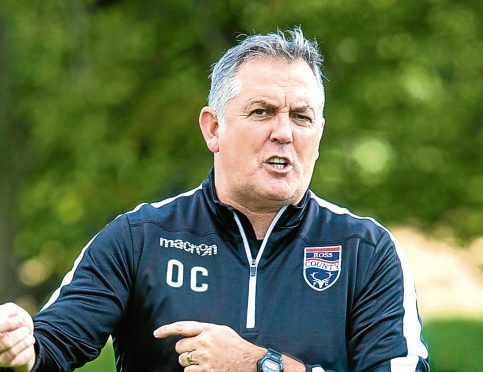 Ross County manager Owen Coyle. Accies were recently the victim of an internet fraud which cost them more than £900,000, and chairman Les Gray described it as one of the most difficult situations the Lanarkshire club has faced with directors forced to step in with money to ensure the daily running of the club. Coyle believes the best way for Hamilton’s players to put the club’s financial woes to the back of their minds is by performing on the field, and he expects today’s opponents to be motivated. Coyle said: “Nobody wants that to happen to anyone, because finance at this level is so important for clubs. “Particularly with large sums of money, it can affect the club as a whole. “As players, when they cross the white line it can act as a release to let them go. “It can have a galvanising effect, creating that siege mentality, and that’s something we have to be wary of. “Hopefully the financial side of things can be resolved. Hamilton is a good club and I’ve known some of the people there for a number of years. “Hopefully they can get back to where they need to be, but for the purposes of this match, we have to make sure we do our best to win the game. “I remember doing their play-off game against Dundee United as a pundit last season and people made United favourites, but Hamilton rose to the occasion. County were beaten 2-1 by Hearts last Saturday, meaning the wait for a first home league win of the season goes on. Coyle expects Accies to be well-organised but stressed the onus is on his side to attack. He added: “All the players were hurting after losing the last game because of the manner in which it happened. “We need to get the three points to start moving us up the table. “Coming on the back of the disappointing result, this gives us an opportunity back at home to win those elusive three points the club has not claimed this year. Hopefully by playing well, we can give the supporters something to be pleased about. “Hamilton will be a threat on the counter- attack, but it’s about us imposing our game on them throughout.